Have you ever painstakingly given yourself an at-home manicure, admired your pro-level work and gone to bed…only to wake up with your thread count laid bare to the world on the surface of your nails? Yep, same. But the polish was dry! Or so we all thought. 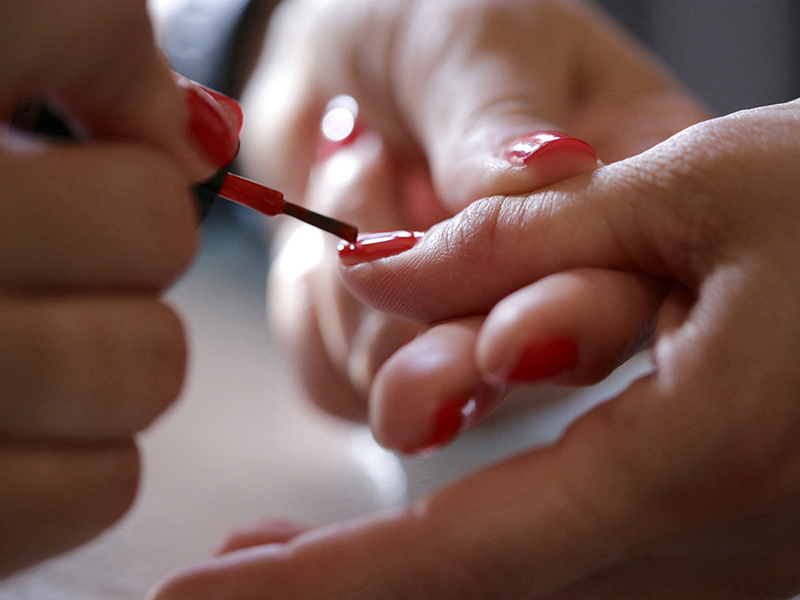 It turns out, it takes longer for your nails to dry completely than you think. How much longer? Um, kind of a lot. When we chatted with our manicurist, she dropped the bomb that nail polish actually takes up to two days to set. TWO DAYS? We can’t sit still for 30 minutes post-top-coat, let alone treat our hands like precious, delicate flowers while waiting for that lacquer to cure. While we don’t have the luxury of lounging around for days in the name of a smooth manicure, there are some preventative steps you can take. For starters, always paint thin coats of polish—and make sure to let each coat dry (two or three minutes to be safe). And if you’re as impatient as us, you can always try the old hair dryer trick: Blast your fresh polish with your tool on the cold setting. The more you know, the better the mani.